This week long camp is the perfect introduction to Robotics! We've taught robotics to thousands of children that had zero robotics knowledge when they started our program. By the end of the one-week program, they could build and program robots with advanced features like speech recognition and vision tracking. 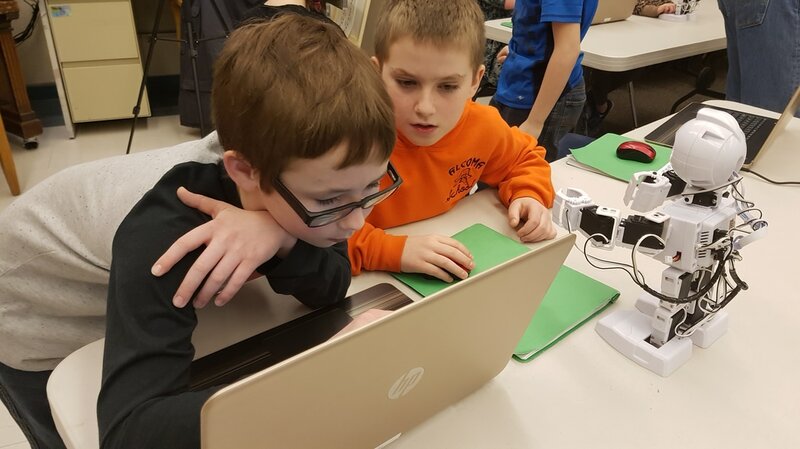 Our fun and exploration-based approach ensures maximum engagement for students, as they learn real-world programming skills. In between sessions of programming and learning, participants will unwind as they pit their skills against other participants in Robo-Hockey and Robo-Soccer - which are excellent for building strong visual spatial skills. This camp appeals equally to boys AND girls, and encourages students to explore their own unique creativity. Your children will have so much fun, they won't even realize that they're learning, and you won't believe what they can do! No Experience Necessary. 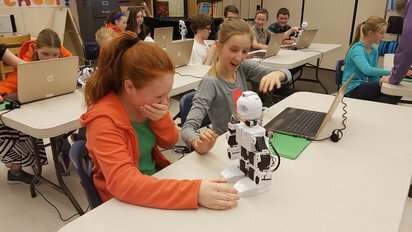 We've taught robotics to thousands of kids - ANYONE CAN DO THIS!